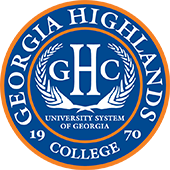 Q: What do I need to do in order to enroll at Georgia Highlands College (GHC)? A. Complete the Admissions application available online, and have official transcripts sent by your high school and/or colleges. See the Apply for Admissions link on our main web page for more information. Q: What are the minimum GPA requirements for freshman? A: Applicants who are within five years of high school graduation must have a 2.0 minimum GPA within their high school coursework. Q: Is the SAT or ACT required? A. An SAT or ACT score is not currently required applicants who graduate from a regionally accredited high school program. However, an SAT or ACT score is required for the following applicant types, graduates from non-accredited high school program, applicants with a GED who are under the age of 18, applicants to the Move on When Ready Program and for applicants who do not meet the minimum 2.0 high school GPA requirement. Submitting SAT or ACT scores is advised as they may be reviewed for exemption of institutional placement testing. An SAT or ACT score is also required for applicants to the GHC Nursing or Dental Hygiene programs. Q: Can I visit GHC? A. Yes. You can visit our online portal to schedule a campus tour, or simply call the campus you are interested in visiting to make an appointment with the enrollment management specialist. Current campus locations. Q: Can I take classes at more than one Georgia Highlands Campus? A. Yes. Class registration for your first term at GHC will be completed when you attend a new Charger Orientation session, and you simply need to let your advisor know at orientation that you plan to take classes at more than one of our campuses. Q: As a high school student can I take some college courses? A. Yes, if admitted as Move On When Ready (MOWR) student, you may take college courses at GHC. Please contact your high school guidance counselor to begin this process and check the GHC Move On When Ready website for the minimum MOWR admissions standards by grade level. A. You may do a course search. Q: How can prospective students check admissions status? A. Visit the Check Admissions Status link, send an email to admitme@highlands.edu or call the GHC Admissions Office at 1-800-332-2406 ext. 6339. A. Yes, there is a $30 MANDATORY and NON-REFUNDABLE fee. Applications submitted online are not released to GHC for processing until the electronic fee payment has cleared. Q: Do you admit International Students, Career/Tech Prep diplomas, home schooled students, or students with a GED? A. Yes, additional information about admissions requirements for specific applicant types can be found at the How do I Apply link located on the GHC website. Q: When do I need to apply? A. As soon as possible! GHC has admissions deadlines that are now in place to ensure that students have enough time to complete the admissions process. GHC begins making admissions decisions approximately five months prior to the start of a term. Application deadline dates are available on the GHC website. 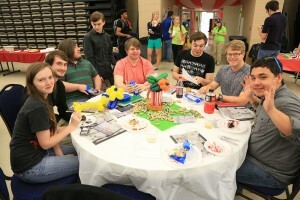 Q: What if I don’t know what I want to study at Georgia Highlands College? A. Visit our Academic Advising site for more information about the assistance you’ll receive in planning your courses. If you are unsure about a pathway, visit our Career and Counseling Services Office for helpful information about choosing a career path! Q: How do I know if I am admitted? A. Go to the Check Admissions Status link on the GHC website to view your admissions status. Q: What is Lawful Presence? A. 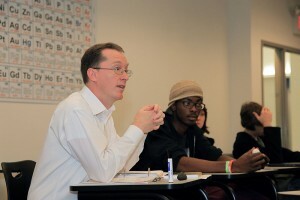 In 2011, the University System of Georgia Board of Regents implemented a new policy requiring all USG institutions to verify the lawful U.S. presence for each applicant applying for in-state tuition. This change was necessary in order to respond to the Georgia State law that requires all students unlawfully present in the U.S. to be charged out-of-state tuition rates. Please visit our lawful presence webpage for more information. Q: The check admissions status link shows me as a non-resident. How do I prove Georgia residence for tuition purposes? A. Applicants who believe they meet current University System of Georgia requirements for Georgia residence for tuition purposes may petition for residence. Forms are available on-line. In addition, there are many waiver options for students who may not qualify for in-state residence. Those forms are also available online.